Optimize your workflow performance with smarter, connected solutions from Honeywell and CDW. Honeywell provides products, software and connected solutions that improve productivity, workplace safety and asset performance. 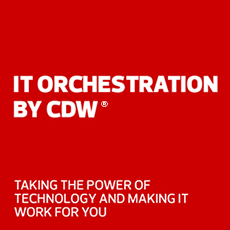 Together, CDW and Honeywell provide industry-leading mobile device, software, cloud technology and automation solutions. Honeywell's Mobility Edge™ platform offers an agile approach to unleash IT from the constraints around integration and inflexible technologies. The Android-based CT60, built on the Mobility Edge Platform, offers real time connectivity, advanced data capture and industry-leading future-proof protection. Shop Honeywell's most in-demand scanners, thermal printers and mobile computers featuring the latest technology suitable for all of your business needs and working environments. Learn about this scanning companion for tablet-based point-of-sale and field-service applications. See how the upgradeable Voyager series allows users to affordably scan 2D or 3D codes. The new CT40 helps retail store associates deliver an enhanced shopping experience.